People in Kuujjuaq, Que., buried two young people Tuesday — the latest victims of apparent suicide — the very day Inuit leaders gathered in Nunavik's administrative centre to figure out how to respond to the latest spate of suicides in the territory. As people in Kuujjuaq prepared to bury two young people Tuesday — the latest victims of apparent suicides — the town's mayor called for hope. Some 60 people from across Quebec's Inuit territory of Nunavik gathered in the Kuujjuaq Forum, a community gymnasium, for the first of two days of meetings to address a recent spike in suicides in the region, and to try to find a solution. 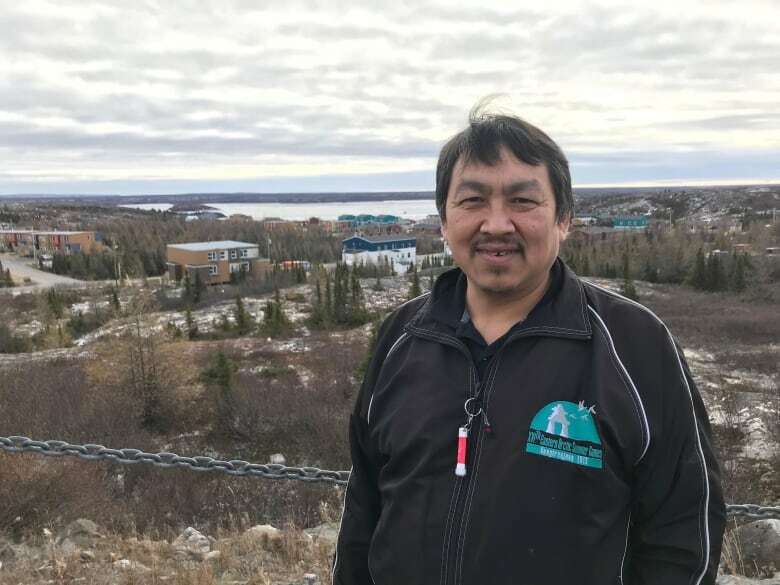 "I am proud to say Inuit are the only people to survive in this harsh country before we had modern conveniences like electricity and vehicles," Mayor Tunu Napartuk told the meeting. "We have forgotten where we come from." In his message of finding hope and pride, Napartuk speaks from experience. He says as a teenager growing up in Kuujjuaq, he contemplated ending his life. "I've been very fortunate to have people around me such as my mother and my father who were understanding enough to make me know that 'yes, this pain and suffering that you're feeling right now is going to come to pass. It will finish. It will end,'" said Napartuk. "I'm 46 years old right now, and that sense of hopelessness — oh wow, I'm just so happy I had someone around me who cared about me." 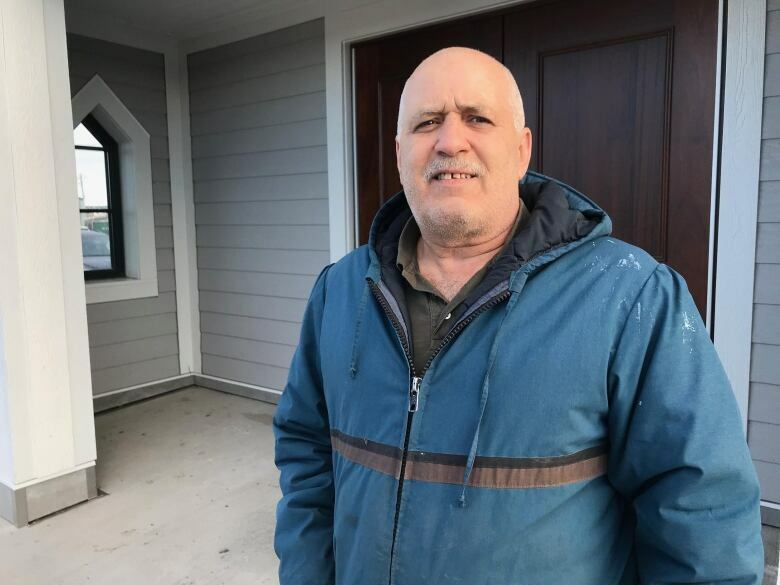 Napartuk says it is now his responsibility to be attentive to his six children and pass on to them his sense of hopefulness. "It sounds very simple, and I may not be the best to give that to my children at times because of my own issues, but I'm doing the best I can with what I have." No sooner had it begun than the meeting to address suicides was suspended for two hours Tuesday afternoon, so that many gathered there could attend the funeral for those who died last week. 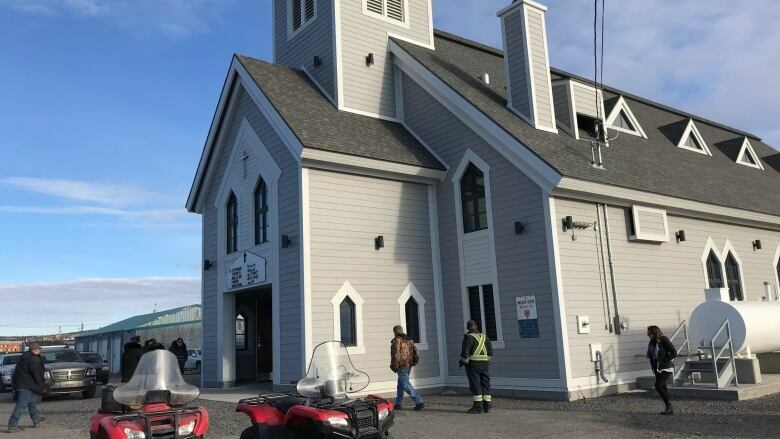 About 200 mourners filled the pews of the brand-new Anglican church, singing a hymn in Inuktitut as a musician played guitar. Napartuk, himself the son of an Anglican minister, read a passage from the Book of Psalms, standing not far from the two caskets laid out, end to end, at the front of the church. One of them held the remains of Gaétan David's nephew Jimmy. David, a southerner who has lived in Kuujjuaq for 23 years, is married to an Inuk woman and has children growing up in the village of 2,800. Jimmy, he says, is the sixth or seventh member of his extended family to commit suicide. "My nephew was a fine young man. He had lots to live for. He had a three-year-old daughter," said David. "It's kind of hard on the family, and we wish things like that would not happen, you know?" David says the number of suicides that his family has had to deal with have a lasting impact. "It's like our heart turned to a rock," said David. "Yes, we cry. We get hurt. Without talking to each other, the family all said the same thing: 'too much is too much.'" His own 14-year-old son is left confused and worried by Jimmy's death, David said. The participants at the meeting spent the day in workshops, answering questions about what they can do as individuals to help their communities and how they can make a positive change. Today they will work toward presenting solutions to stop the wave of suicides. The Kativik Regional Board of Health and Social Services will also present the work of its regional suicide-prevention committee. Napartuk says leaders in Nunavik have had meetings to deal with one suicide crisis after another for many years. He says there's a lot riding on this one. "We've gone to these meetings representing different organizations and different groups, and it's been hard to get away from that responsibility and the limitations that each of the organizations may have in terms of funding, regulations, programs," said Napartuk. "I may be the mayor of Kuujjuaq, but I have to [work for a solution] as a father, as a husband, and as an individual." Asked about Tuesday's funerals for the two young people, and the emotional toll the deaths have on people in Nunavik, Napartuk paused for a moment to compose himself. "You have to keep going," he said. "I have a responsibility as a local leader. I have a responsibility as a father and as a husband. You have to take a moment to pay respects to those affected. But you have to keep going." 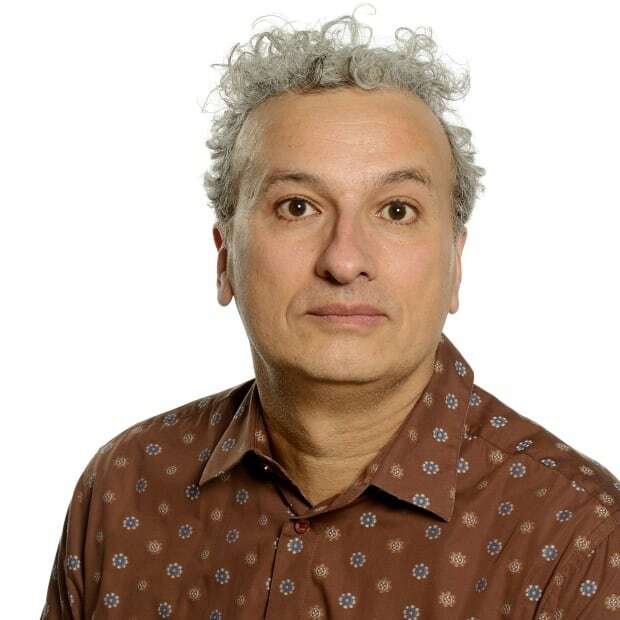 Elias Abboud is a journalist at CBC Montreal.